The best way to get to know a community is by scheduling a tour. See the facilities, meet the staff and residents, and get a feel first hand what it's like to live at Clear Choice Home Care Home Care. Clear Choice Home Care provides affordable and personalized homecare managed by our healthcare professionals. Our healthcare team consists of Pharmacists, Registered Nurses (RNs), Certified Senior Care Managers (CSCMs), Certified Nurse Assistants (CNA), and Health Coaches. Our integrated team approach provides day to day support to assist families in caring for their elderly family member. Utilization of state of the art software allows our clients and families to be proactive and involved in care; from the moment care begins, access to daily events and activities are accessible through a convenient family and physician login. 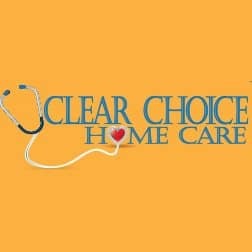 Clear Choice Home Care can provide quality and affordable care in the comfort of your own home. All personal care attendants are reliable, trained, fully screened and bonded. We have a variety of home care options for every need and budget. There are a variety of senior benefit options available, some of these include long-term care insurance, veterans’ benefits and financial counseling. We work with our clients and families to ensure utilization of their benefits. Our Service Area - Greater Kansas City and surrounding areas including Overland Park, Shawnee Mission, Kansas City KS/MO, Prairie Village, Leawood, Mission, Roeland Park, Raytown, Liberty, North Kansas City.